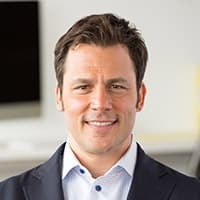 I’ve shared the story of my career journey and how I got “unstuck.” In 2009, I made the decision to leave a secure corporate job that I had enjoyed for over a decade to start my my own business. Moving from the corner office to my kitchen table felt overwhelming and at times, like a giant mistake. But getting unstuck typically requires that moment of truth where you take a leap of faith. That decision to launch into the unknown was the most important career choice I’ve ever made, not because of the outcome, but rather for who the journey has helped me become. My journey continues and through it all I’ve definitely navigated my share of challenges and change. Seven years later, I still wake up excited about my work. I can’t really imagine doing anything else. I also believe we’re just getting started and the best is yet to come. When you love what you do and get to do it with people you love, work doesn’t feel much like a job anymore. It’s actually an extraordinary privilege. 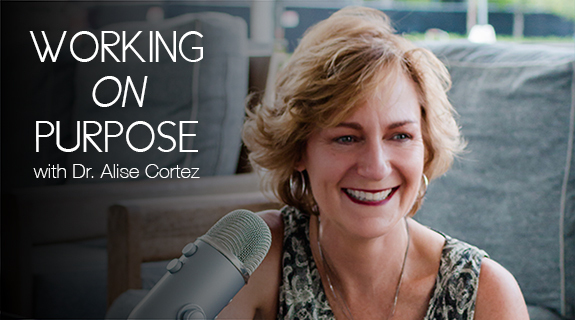 Last week I talked to Alise Cortez on her Working on Purpose radio program, and she asked me to share a few ideas on the art of reinvention and finding more purpose and meaning in our work. What would I like to improve in my life? What do I want to grow? Who would benefit if I made those changes? Why is that important? How am I moving yourself toward that vision? What am I doing every day that is getting in my way? What is the cost of not taking action? Where are the gaps between where I am today and where I want to be? Am I prepared to get where I want to go? If you want to blow up what isn’t working, it also helps to write down the answers to these questions and review them consistently. Track and reinforce your commitment to change. Use visualization to see your vision becoming your reality. If you could pick yourself up and drop yourself into your “life dream” five years from now, what would it look like? What would you be doing? Once you visualize your definition of success, identify your biggest opportunities to advance toward that destination. What is the next move? Then (and this step is the hardest but also the most freeing), it’s time to take action. Take Action… and Anticipate Failure. The biggest accelerator to getting unstuck and moving through fear is taking bold and decisive action. You may never feel completely ready to take that big leap of faith. I didn’t. But I’ve learned from experience that you have to simply step up and get started if you want to create the necessary momentum to move forward. Navigating any significant life change is going to be hard work. Anticipate adversity and trust that mistakes are truly the place where we learn and grow. You are going to struggle. There will be missteps. You’re going to fail. I most definitely have. The good news is that failure isn’t final. It’s simply the next test we have to pass, and it helps us develop the resolve we need to eventually succeed and fulfill our purpose. Good luck — and don’t forget to enjoy the ride!